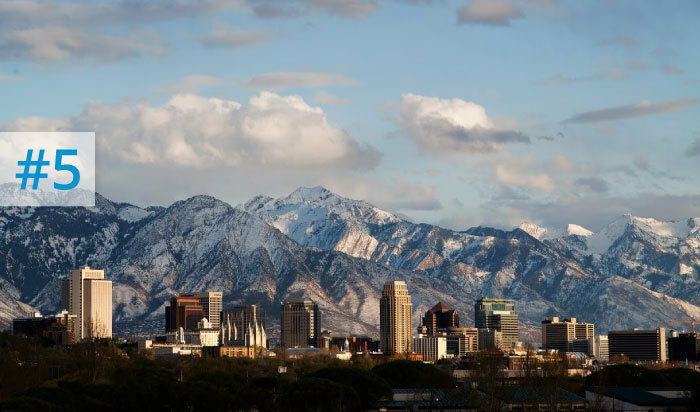 Eight driving miles is the difference between 40 feet of snow per year in the Cottonwood Canyons and 5 feet per year in Salt Lake City. I found the above picture on the Ski Utah web site. To go there press Here. Our iris garden is 54 miles north of Salt Lake City, where this picture was taken. Winter has been slow to release Northern Utah from its clutches this year. While I drool over the iris pictures posted on facebook from those of you in California, North Carolina and other warmer states, we are watching our iris greens slowly wake up from the frigid temperatures of winter. Our plants are about 10 inches tall and only in the last few days have they started sending up stems and forming buds. Nevertheless I know that they are growing and they will put on a lovely show when they bloom some time between the middle of May and Memorial Day. I made collages out of each iris and tried to include a distant shot, a shot from a few feet away, and a close-up or two so that you could see the full effect of the iris. Yellows, golds, and oranges stand out in a garden: and this color always catches your eye. 'Aztec Treasure' does very well in our garden. It makes a mass of blooms and it is very reliable. We bought this one back in the 1980's, and I hope someone out there still has this beauty for sale. This plicata iris is a show off but not a trouble maker in our garden. You can see it from a distance. 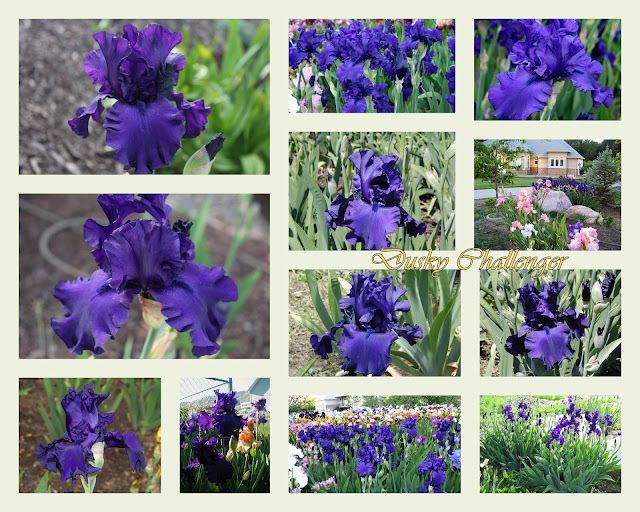 It is a historic iris, 32 years old. It has the grace of an older iris but the gentle ruffling of a newer variety. I've had this iris for a very long time. I got it some time in the 1980's. It is another "historic" which perhaps needs more recognition. This iris makes a lovely clump and is pretty by itself. It takes little or no care but remains healthy. I have too many irises to have a favorite but this would certainly be in the top 25. I love the icy lavender color, the white beard, and all the lacing. This one is robust in our garden. It provides a cool place to rest your eyes. This one isn't old enough in my garden for me to describe the clump. These pictures were taken its maiden year. It gets the Super Achiever Award because I expected that I wouldn't like the muted colors, but I was pleasantly surprised. The colors seem to give it a sophistication that I wasn't expecting. Look how lovely the spacing is (there is more than one stem in the photo). It gets my Surprise Super Achiever award. I won't mistake this iris for any other in my garden. This famous iris turns 30 years old this year. That makes it "historic". 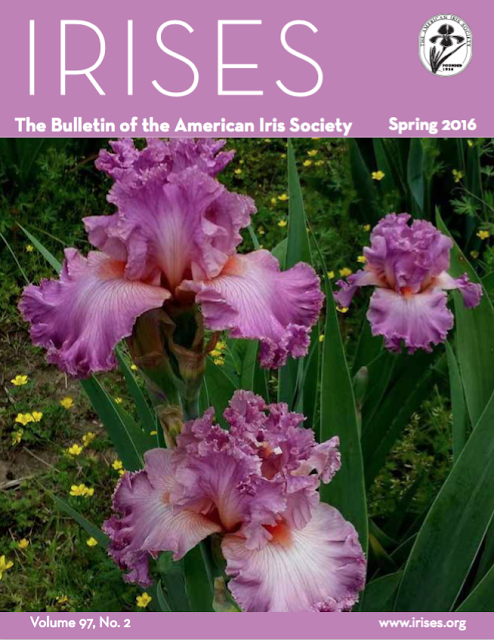 Year after year it gets voted as on of the most popular irises in the American Iris Society Symposium. It has many things going for it. It has a huge blossom. Its shape is impeccable. The beard is lush and dark (dusky). The substance is very good. It never droops. It is healthy and makes huge clumps. Every garden should have this iris. Plant it next to an orange or yellow for a complementary color scheme. Each color will make the other color "pop". It won the Dykes Medal in 1992. This iris was given to me by a friend. It will always be special for that reason. It seemed to have a slow start at first, but by the second year it made up for it. The two-toned blue is beautifully shaded. The shape is wonderful. Look for purple based foliage which most people find attractive. It also has a slight fragrance. This is another muted color one that was a pleasant surprise. I haven't found a catalog picture that really depicts the colors as pretty as they are. If you look at the iris "WIKI" American Iris Society's Iris Encyclopedia you will see how different each picture is. Perhaps the different climates and soils and conditions change the colors a bit. I sure like what mine looks like. Thank you, Mr. Keppel. This iris looks perfect whether it is in a clump or with a few or extremely close up. It also will turn 30 this year so it is classified as an "historic". 'Silverado' won the Dykes Medal in 1994. This iris changes colors according to the light and I suppose camera and monitor. Sometimes it looks almost pure white, sometimes it looks dusted with pale blue but most often it is shaded with a delicate lavender where the falls and standards meet. I feel like I need to confess how unorganized my digital iris pictures are. I have literally thousands of iris pictures but so many of them are in this computer and filed just by the date the picture was taken. I admit frustration because I have so many "Super Achievers" that I would like to share pictures of, but I can't find that perfect picture that shows the clump, or the light hitting it from behind, or that perfect closeup. I was limited to the pictures that I could find. I do however have enough for a part 3, so look for that post in the next few weeks. I am determined to label each iris as I put its picture in the computer this year! One last note. Neal and I don't sell or trade irises. We share with those who visit in person and can help dig them up. My husband is ill and I won't make him go into digging and dividing irises as a business. I hope you understand. I do hope that by giving you the name and hybridizer of the iris that you can find a vendor if you want that particular one. 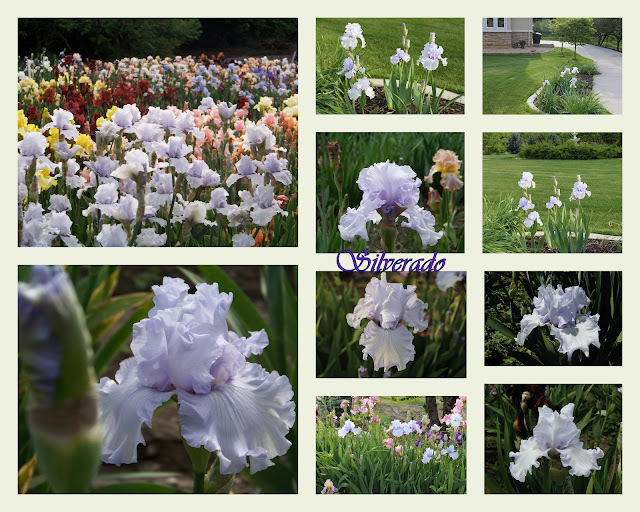 The first 25 years of growing iris we bought about 95% of them from Schreiner's Iris Gardens and Cooley's. 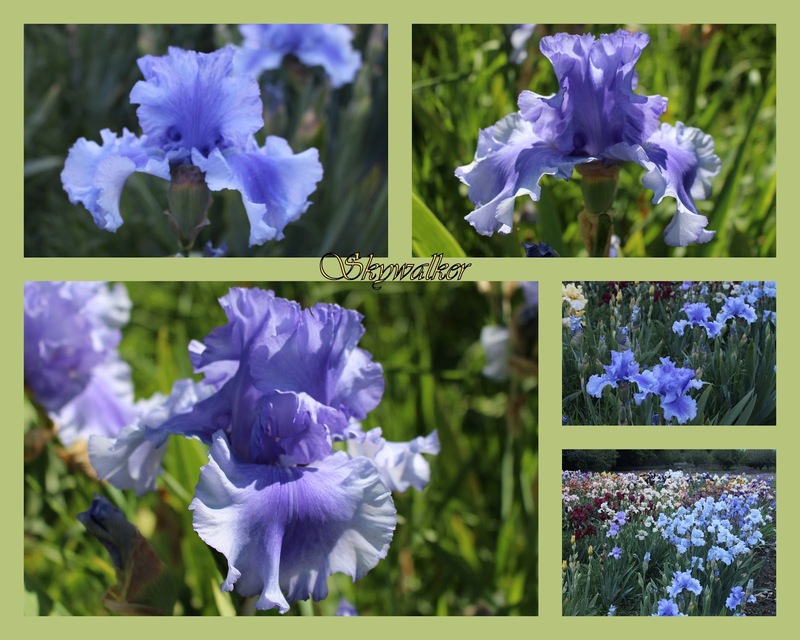 I loved all the responses I got from you last time about which irises do super well for you. Keep the comments coming. Tell the rest of us what planting zone you are in so others in that same zone can try your "Super Achiever". Kindest regards from our home to yours. Looking through 'Conjuration', 'Edith Wolford', Silverado and 'Dusky Challenger' at our home we built in 2003-4. I have the pleasure of always receiving an advance copy of IRISES in order to write this short preview, and this time as I opened the envelope the view of this cover blew me away. Congratulations to all involved in putting it together. It's beautiful. A warm welcome to those who are seeing the gorgeous cover of this issue of IRISES, the Bulletin of The American Iris Society. 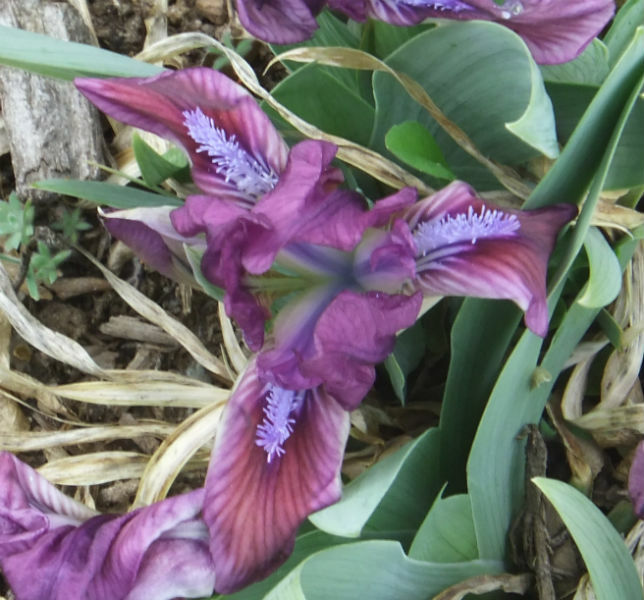 The image is of TB iris 'Social Graces' (Keith Keppel 2000)) by Pat McNeal (Easton, MD), one of the 2015 Photo Contest Winners. The Spring 2016 issue of the AIS Bulletin will be available soon for online viewing within the Emembers section of the AIS website. Note: to access this area of the website you must have a current AIS Emembership. AIS Emembership is separate from the normal AIS membership. Please see the Electronic Membership Information area of the AIS website for more details. As I said above, the beautiful cover of this edition of IRISES is gorgeous, I hope it's making an impression on you as well. Read a lovely introduction of early 20th Century iris breeder Arthur J. Bliss by no other than British Author Anne Milner, on News & Notes on page 8. The watercolor work on the cover of Bliss Irises will draw your attention to this article immediately. Always a pleasure to review Youth Views, by Cheryl Deaton on page 11. A fascinating article by Bob Pries on What Color is That, Really? Can we really ID a mystery iris from a picture? on pages 28 through 31. 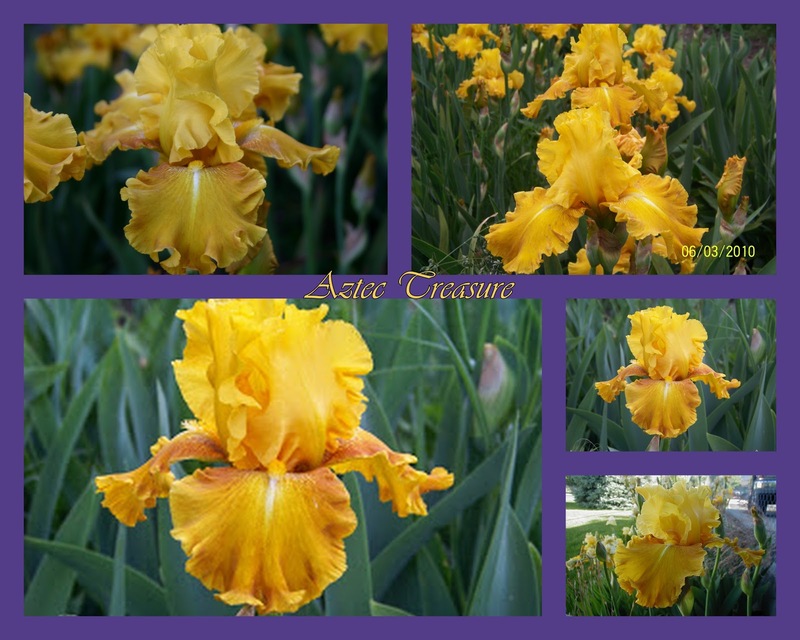 "Another mystery is the oldest known iris cultivar. Iris 'Susiana' has never been recorded from the wild except that it came from the ancient city of Susa, which is also lost." If you are interested in variegated foliage or blooms, don't miss the very interesting article by Don Spoon called Jumping Genes and Variegated Blossoms. It's quite remarkable, on pages 34 and 35. 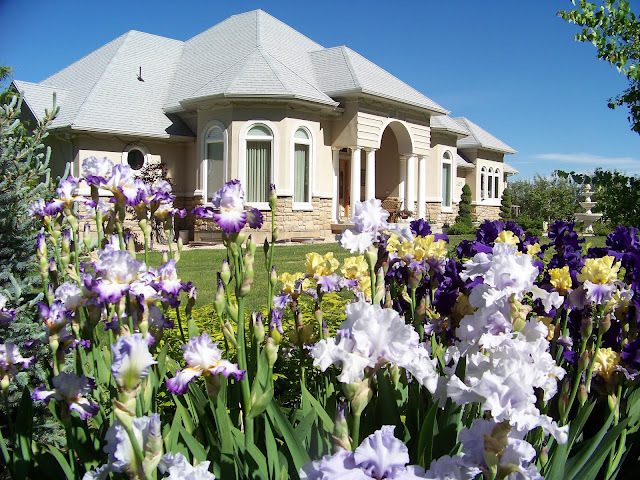 For those of us who can grow Siberian irises, Jan Sacks article Styles in Style will fill you with desire to explore even more the these garden stylists, on pages 36 through 39. Amazing images too. Curious about how your iris came to be? Then, you must read the article titled Ancestry.Iris by Keith Keppel. A fantastic read, on pages 44 and 45. I never miss the section called Remembering Friends, which kindly describes the passing of iris lovers who have gone ahead of us, by Jim Morris, on pages 46 through 48. Also included in this edition, the AIS 2016 Symposium! Lastly, a great read and beautiful article by Dennis Luebkin and Judy Book on the Richard Marcusen Sculpture Garden and iris garden in Prescott, Arizona, on pages 63 through 67. "It combines the beauty of sculpture and of irises in a marvelous, unique blending of "petals and metals," as it was described in the an article of the same name in the May 2013 edition of AAA Highroads magazine,"
There's a lot more to see and read in this edition of IRISES, either in digital or print formats. If you are an AIS member know that you will receive the print edition soon (it's in the hands of the U.S. Post Office), or if you are an e-member, then that version will be a available online soon as mentioned above. In an earlier blog post, I wrote about how the tiny bearded iris species Iris pumila was imported to the US by Robert Schreiner in the 1930s and crossed with the popular tall bearded irises, giving rise to a whole new type of garden irises, the standard dwarfs (SDBs). 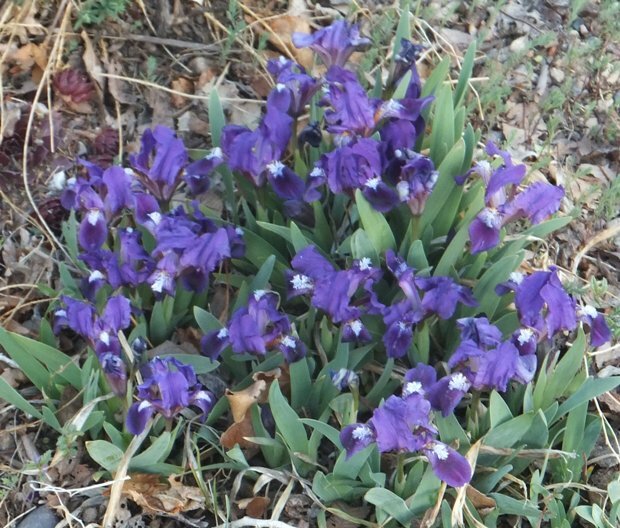 Today, I thought I would write about Iris pumila itself. 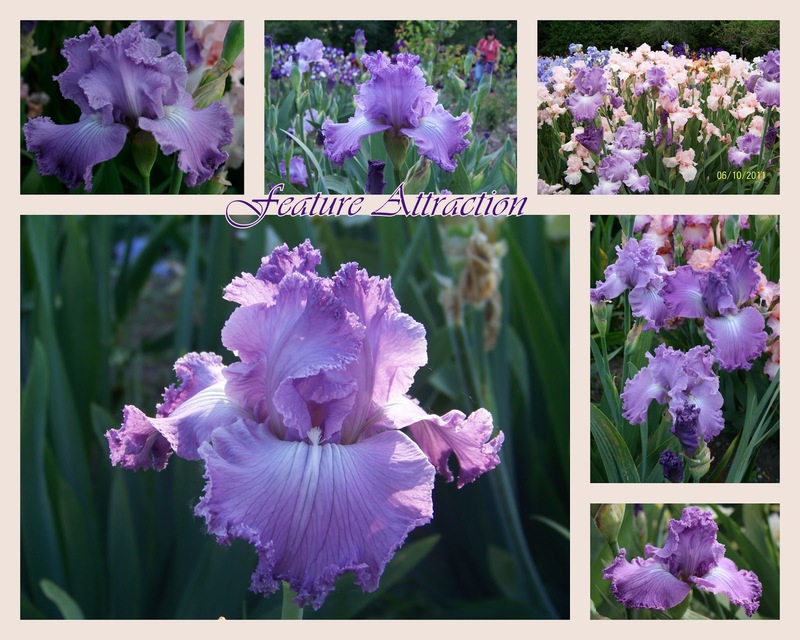 Besides being an extraordinary find for iris hybridizers, it is a delightfully varied species that makes a wonderful garden plant. It is invariably the first bearded iris to bloom in the spring, starting several weeks before most of the hybrid dwarf cultivars. 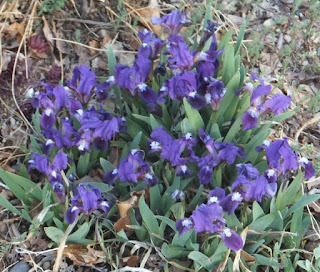 In the wild, Iris pumila grows in a wide range across eastern Europe, from Austria in the west through Hungary, Romania, Ukraine, and into the Caucasus Mountains as far as Armenia and even Turkey. It is often found at higher elevations and dry, continental steppe climates. It is adapted to cold winters and sunny, open spaces. 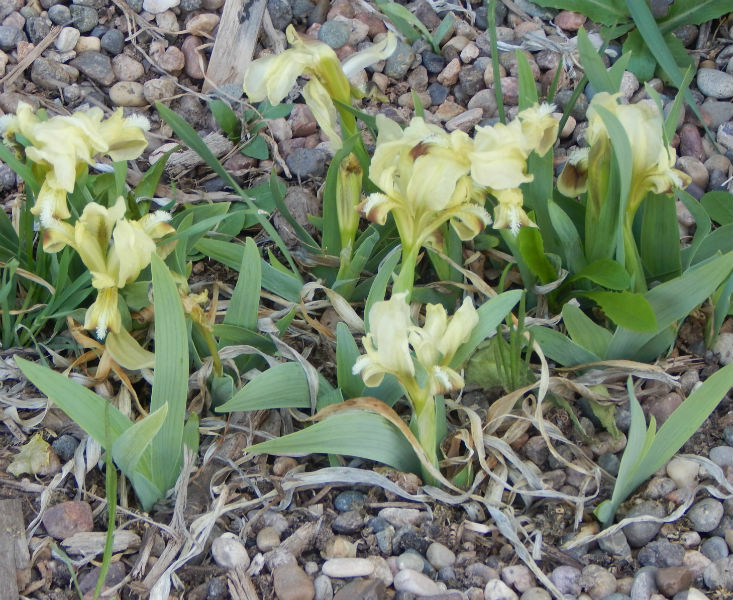 Conventional wisdom has it that Iris pumila does best in areas of colder climate (USDA hardiness zone 6 or colder), although I have grown it in southern New Mexico (zone 8), so it may be worth a try even in warmer areas. Iris pumila is among the tiniest of bearded irises, with the tip of the blooms only about 10 cm from the ground. Usually, the stem is so short as to be hardly detectable; the blooms are held aloft on an elongated perianth tube, so that each bloom seems to be just sitting atop the rhizome from which it grows. The species shows a phenomenal range of color. To judge from pictures I have seen on the internet, Ukraine seems to be the center of its diversity, with many extraordinary color combinations seldom seen in plants that have been imported to the US or western Europe. The basic color may be blue, purple, yellow, or white, in any shade from pale to intensely saturated. There is almost always a darker "spot pattern" on the falls, which may be small or may cover virtually the entire petal. The spot may be solid color, or appear as rays or veins or an uneven wash of color. You can find Iris pumila offered for sale by some alpine or rock garden nurseries. (A word of caution: non-specialist nurseries, like garden centers, often use "Iris pumila" to label any small bearded iris cultivar; these are not the true species.) Many seed exchanges have it, and growing from seed can be extraordinarily fun, since every seedling is different. It does take some patience, however, as irises take 2 to 3 years to bloom from seed. There are also named cultivars of Iris pumila available from specialty iris growers. Many of these are registered as miniature dwarf bearded (MDB), since they meet the definition of the class. More recently, some have been registered as species (SPEC). One very popular Iris pumila cultivar is 'Little Drummer Boy' (Willott, 1997), which won the Caparne-Welch Medal for best MDB in 2005. 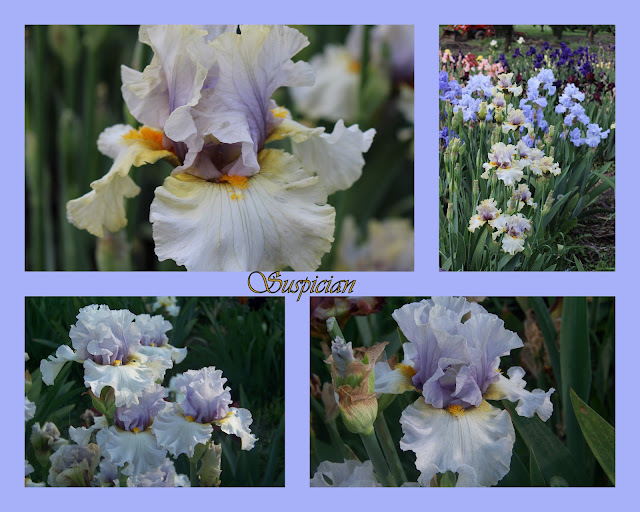 Some newer Iris pumila cultivars include 'Steppe' (J. Burton, 2011), 'Keystone Oracle' (Jesberger, 2011), 'Wild Whispers' (Coleman, 2012), and 'Royal Wonder' (Coleman, 2013). 'Keystone Oracle' is notable for turquoise tones around the beard and spot, which varies from dark to pale depending on climate. I hope I've given you a taste of the beauty and variety of this diminutive iris species. 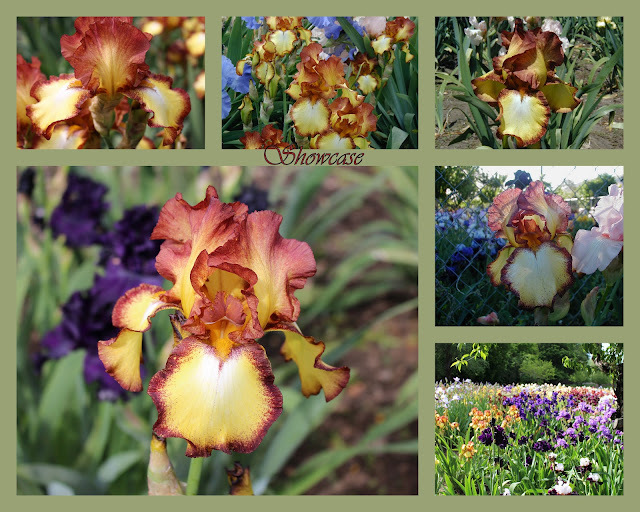 Have you tried growing any Iris pumila in your own garden? The dominant colors in my garden are screaming salmon-orange, yellow, and orchid. I have restricted the color palette to bring some order to the chaos of an inveterate plant collector's garden. It works. So what to do with a spectacular coppery-gold iris that shines like a beacon of light? 'Scottish Reel' is a Barry Blyth iris from 2001. It grows to between 34 and 36" tall, and blooms early to mid-season. 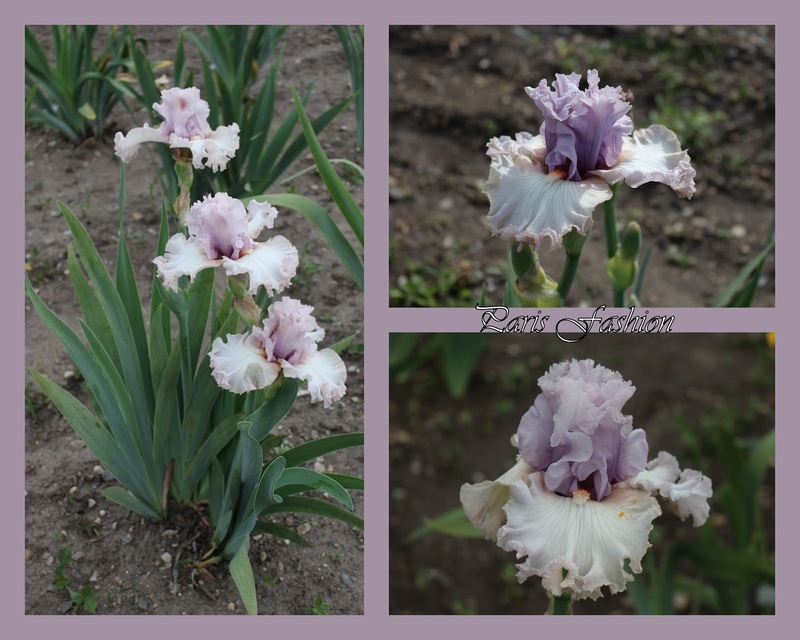 There are two or three blooms per socket on this iris, which extends the bloom period. The foliage is very nice: straight, with no corkscrewing, and the plant is tough. Since I have been unable to find a spot for it, this iris has been moved each year. It started out in the vegetable bed, was moved to the garden, then back to a different part of the veggie bed where it was exposed to root knot nematodes, then I dug it up, cut off all of the roots to the rhizomes to get rid of any nematodes, and planted three in a pot last year. All three bloomed this year! My resolve to keep only plants that complement my existing color scheme is broken by the loveliness of this iris. I will always have it in my garden, even if it is relegated to the vegetable beds. 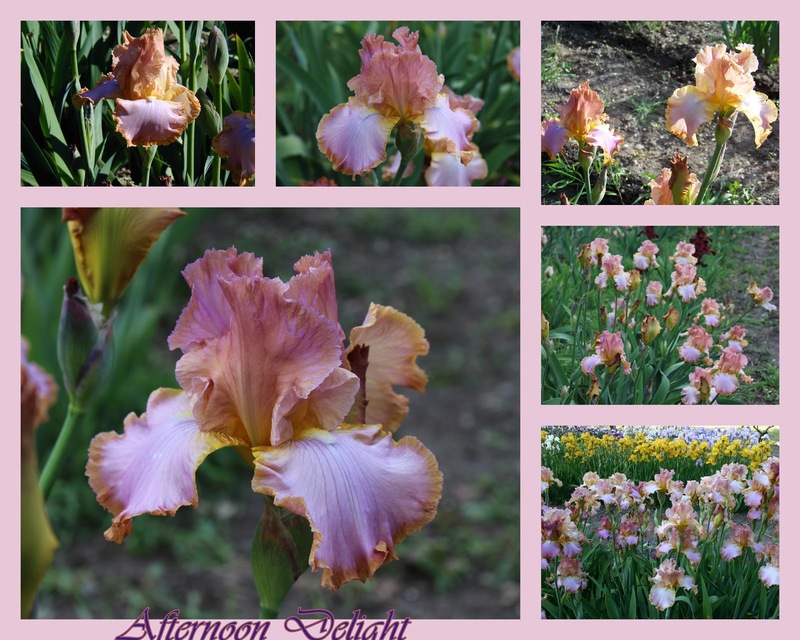 Do you have an iris that you keep in your garden even though you have no place to plant it? Share it with us in the comment section below. One of the most exciting times for a hybridizer is spring bloom in the seedling beds. You go through the winter with great anticipation of the upcoming spring to see what your work has produced. Over time you learn that only one in a hundred may be a really special iris, but as the stalks start forming, there is always hope that maybe this year there will be more good than bad. Finally the morning comes when first color shows. You start watching the weather reports. Is there a late freeze? Any storms coming with hail? All is good, and they have started. What excitement! Then the evaluating starts: how many bud positions, how strong is the stalk, is the color fading, is it different than mama? Maybe we will keep this one another year. But then, HEY! Look at you! Aren't you something. This is what it's all about: the emotional ups and downs going through the seedlings one by one, looking for that winner. These are pictures of my 2016 maiden blooms. Much evaluation remains to be done, but I thought you might like to see what I saw when they first opened. This is a seedling that was lost and found last year, and this is its first time blooming in my garden. Another difficult cross was with 'In The Navy'. Here is a first look at 'In The Navy' X 'Our Sassy'. This one was a real surprise. At first glance I thought Court Jester. But that name is taken. I hope you enjoyed seeing my maiden blooms. Hopefully in the future you will see one or two introduced with their new names. Here is wishing everyone a wonderful bloom season.